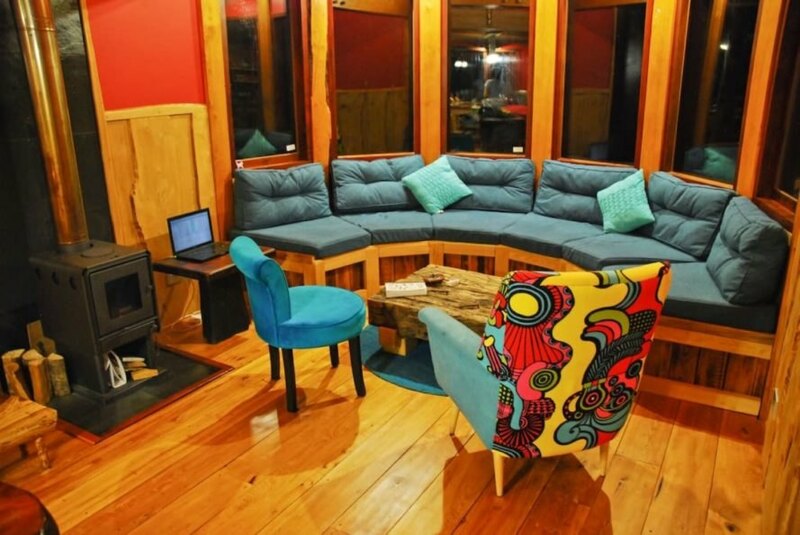 When Caroline and Julien traveled across South America in their Volkswagen Kombi, the couple noticed a dearth of quality accommodations and decided to fill that hospitality gap by building a beautifully crafted rental cabin in Chile. 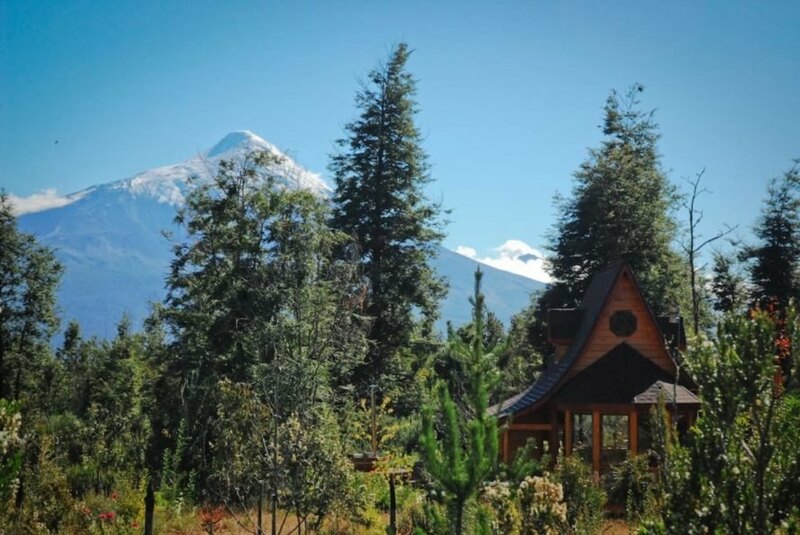 After 19 months of construction, the couple realized their dream on the slopes of the Calbuco Volcano in Ensenada. 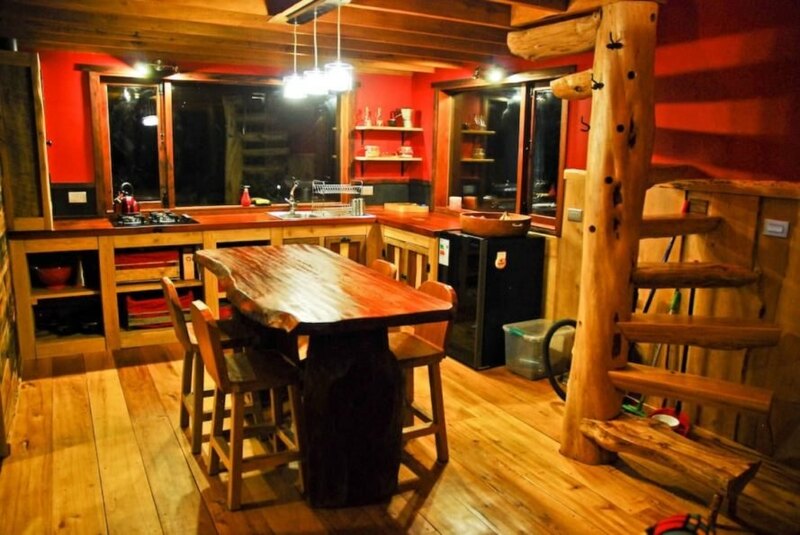 Designed and constructed for an approximate cost of $30,000, the cozy, handcrafted home — dubbed Casa Nido — has been listed on Airbnb starting at $116 a night. Inspired by images of fairytale cottages, Casa Nido spans two floors, with a ground floor of 290 square feet and a smaller second level of 129 square feet. The curved roof beam is constructed from plywood, and all the other timber materials are locally sourced, native species. 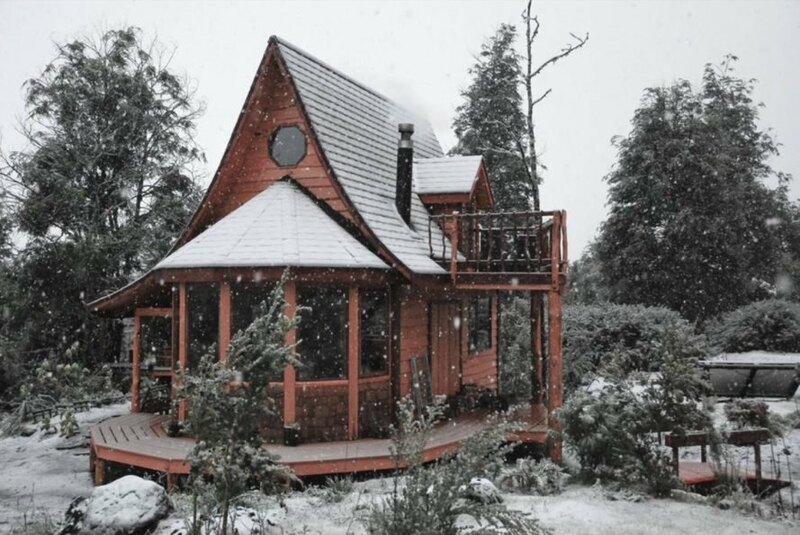 For instance, Patagonian Cypress was used for the windows, doors and furnishings while Manio was used for the outside siding, interior lining and flooring. 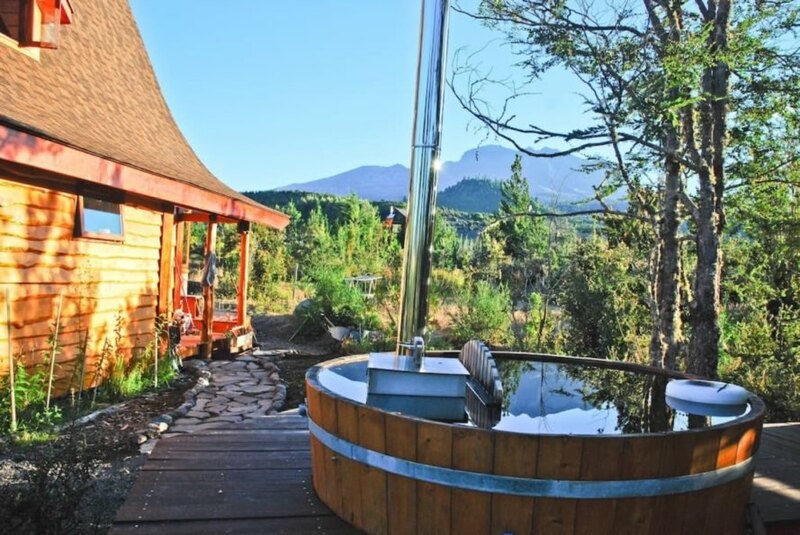 In addition to a bedroom that sleeps two, the cabin comes with a living room overlooking Calbuco Volcano vistas, a fully equipped kitchen that frames views of Osorno Volcano, a ground floor terrace and a wood-fired hot tub. The cabin is powered by a photovoltaic solar system that provides enough electricity to meet daily needs, while the water is sourced from a nearby natural spring higher up in the valley. Wastewater is treated with a photo-purification system. The couple also plans to build a homemade biodigester to replace the use of gas cylinders for the cabin’s gas system. To wake up to volcano views at Casa Nido, check out the listing on Airbnb. Land cost? Time cost? Food cost? Solar system cost? Fuel cost? Total 30K? NEVER! 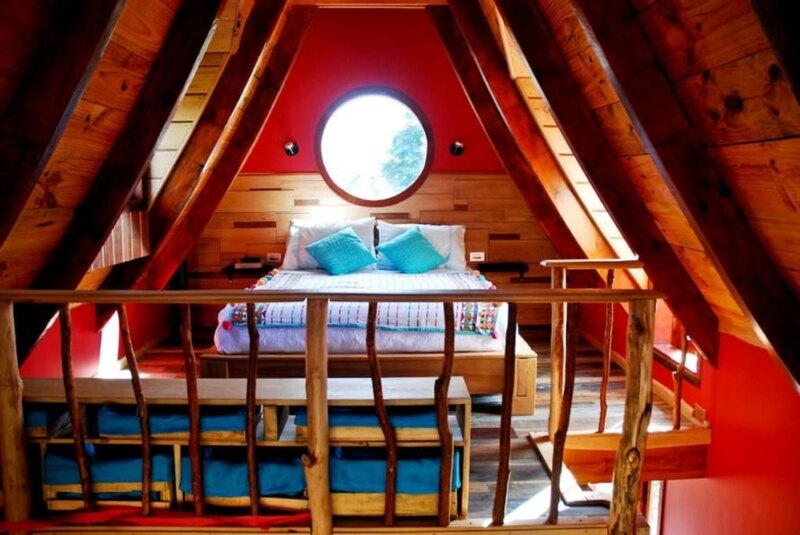 This charming cabin in Chile was handcrafted by a travel-loving couple. Caroline and Julien built the cabin without any assistance. After 19 months and just $30,000, the cabin came to life. The interior is cozy and welcoming. The kitchen provides all the essentials for cooking at home. Before completing this project, the couple had zero construction knowledge. Views of nearby volcanoes and lush surroundings are framed from every room. A wood-fired hot tub allows for outdoor relaxation. Views from the hot tub are unmatched. A small deck offers a quiet retreat for enjoying coffee or a glass of wine. The cabin is powered by solar. Rates start around $116 a night.